Would you want a Gold medal or 25 points? ﻿﻿This would definitely be a step in the right direction, if ever it was implemented. I just can’t imagine the drivers receiving medals on the podium. It all feels too insufficient. To have worked incredibly hard from 5th place, for example, up to first for a small ribbon and gold plate wouldn’t complete the day for me (if I were a driver). And (as a fan) I’d feel like I was watching the Olympic Games, all year round…every year. I’m thinking more along the lines of a solid gold trophy, intricately designed similar to the one given out at Silverstone. That looks like the driver needed to put in the drive of his life. It just looks so fitting. The remaining two podium finishers would get something a little less fancy and in their respectful colors (Silver and Bronze). 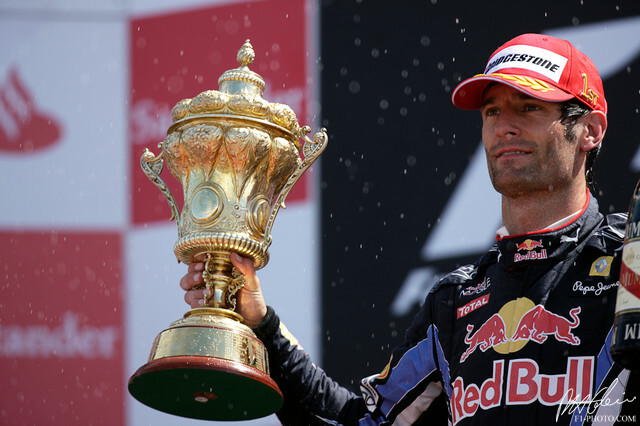 The driver with the most Gold trophies at the end of the season wins. Simple. Ecclestone still believes his system will work, despite teams and fans thinking otherwise. “I stick to it – let’s have medals instead of points,” he said. “Drivers want to win and they are not racing for second, third or fourth place. So let’s have a system where wins count. Last season it would have worked pretty well. Now wouldn’t that result caused Alonso to go into a Spanish swearing rampage? For sure, and underneath the swearing he would have wished he had pushed just that bit harder in fifth place one time.